It's not just for piles of coal and people afraid to fly. 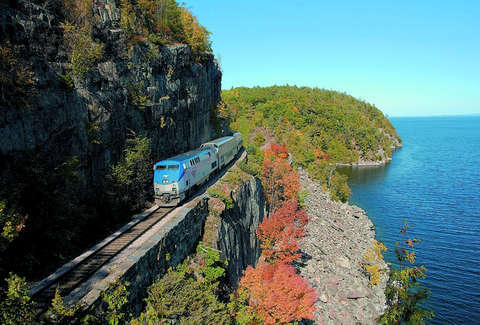 Train rides can be an excellent way to travel and see the country in a new light. In fact, many of the routes around the US are beautiful. If it's something you'd consider, now may be your moment to book that ticket for an overnight train ride. Amtrak is offering two-for-one tickets on roomettes -- a small private room fit for two -- through midnight on June 26 for rides taken between August 20, 2018, and February 15, 2019. In a roomette, you aren't going to be traveling like royalty. The rooms are small, but they're private with a locking door. It includes a pair of chairs that face each other with a table in between. That set-up converts into a bed at night, and the second bed pulls down from the ceiling. Your ticket also includes complimentary meals in the dining car, access to showers, complimentary coffee, and room service in the morning. The sale is available for routes that travel overnight, which includes treks from Chicago to Washington DC, New York to New Orleans, and Seattle to Los Angeles. Amtrak lists these cities as having routes available in the sale: Atlanta, Charlotte, Chicago, Denver, Los Angeles, Miami, New Orleans, New York, Orlando, Savannah, Seattle, and Washington DC. Sample routes and fares from the sale page are listed below. The fares aren't far off of what you'd pay if you're flying economy. 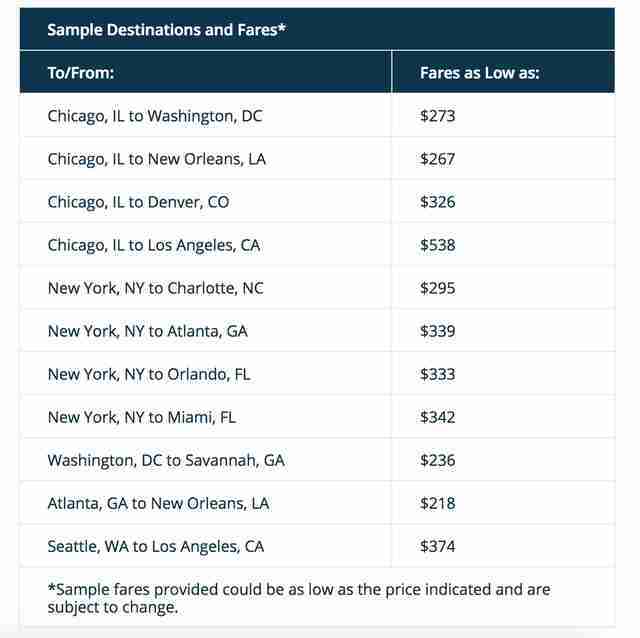 The lowest of the sample fares is $218 for a one-way journey. That starts to look very good if you're getting two tickets in a sleeper car for $218. If you've considered taking the train for some time away, this is your moment to give it a shot and travel on the cheap. Dustin Nelson is a News Writer with Thrillist. He recommends you travel between New York and Montreal in the fall. Follow him @dlukenelson.